I’m assuming it’s a logging camp. In the back right of the photo, you can see what I believe is the Alder school, which is no longer standing. You might be saying, “How come I can’t see Alder Lake?” That’s because Alder Lake as we know it didn’t exist yet. 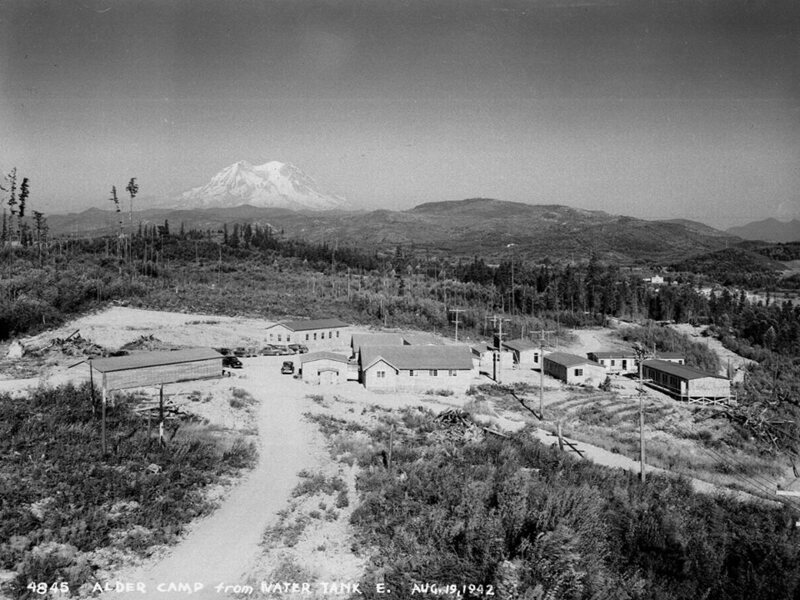 It wouldn’t be until 1944 with the construction of Alder Dam that it would take shape. If you have any information on this image, please feel free to share.